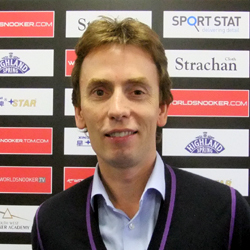 One of the nicest players on the tour, 1997 World Champion Ken Doherty was at his best is one of the strongest match-players in the game and one with an incredible will to win. This was typified by his amazing run in the 2003 World Championship when he played more frames in the event than anyone before or since in order to make the final. An excellent tactician, Ken has often been described as a player with no obvious weaknesses, who is very good in every area of the game. This makes him an extremely tough opponent who will fight to the end. He excels in both scrappy frames and as evidenced by over 250 competitive century breaks, can score heavily when given the chance. With his playing career drawing to a close, during recent years Ken has taken up a role with the BBC, assisting their coverage as both a pundit and a commentator during the calendar’s three major events. 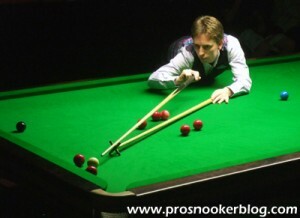 As an amateur, Ken first came to prominence in 1983 when he won the Irish U-16 title, a title that he would retain the next year. He followed this up with the Irish U-19 title in 1986 and then the Irish Amateur Championship in 1987 and 1989, victories that would allow him to showcase his talents on the world stage later that year. This he managed to do in great style; firstly capturing the World U-21 Championship in Reykjavik before taking victory in the World Amateur Championship in Singapore. After a solid start to his professional career, he moved swiftly up the rankings and began to reach the latter stages of ranking events with increasingly regularity. In his second season he qualified for the B&H Masters by winning the qualifying tournament as well as reaching two ranking semi-finals to move up to 21st in the rankings. It was the following season where he made a real breakthrough however. Firstly he managed to reach the final of the Rothmans Grand where he lost narrowly to Jimmy White before taking his first ranking event title at the 1993 Welsh Open. This result took him into the top 16 where he was to remain until the end of the 2007/8 season. Steady results continued to keep him in the top 10 but it was at the 1997 World Championship where the greatest moment of his career would come. In the first round he managed to win a tight match with Mark Davis before thrashing his namesake and six-times world champion Steve in the next round. He followed this up with an excellent 13-9 win against future champion John Higgins in the quarter-finals to reach his first world semi-final. Following a comfortable win over Alain Robidoux he met the world number one and six times defending champion Stephen Hendry in the final. Going into the match as the underdog, few expected Ken to win but he managed to withstand Hendry’s heavy scoring and earn a well deserved 18-12 victory to become the third overseas player to win the title. 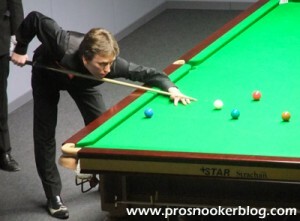 In doing so he became the only player to have won the World Professional Championship, World Amateur Championship and the World U-21 Championship during his career. Starting the next season at number three in the world, Ken continued to perform well, though was unable to defend his world title losing 18-12 to John Higgins. In the following years further ranking event victories came with the 2000 Malta Grand Prix, the 2001 Regal Welsh and the Thailand Masters, before in 2003 he reached his third World final. In fact that run to the final in 2003 was arguably the most dramatic route that anyone has undertaken to get to that stage. His first two matches against future world champions Shaun Murphy and Graeme Dott both went to final frame deciders before he met the man who beat him in 1998, John Higgins in the quarter-final. Despite racing to a 10-0 lead, Ken was forced to fight off a Higgins revival, eventually getting over the line for a 13-8 victory. 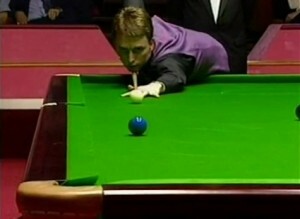 The most dramatic match was to come in the semi-final against the late Paul Hunter. They resumed that Saturday afternoon, the score standing at 15-9 to Hunter before Ken mounted one of the greatest comebacks in snooker history to win 17-16. At 14-16 it looked all over for Ken as he missed a tough blue, but remarkably it rebounded from the jaws of a corner pocket into the opposite middle pocket. 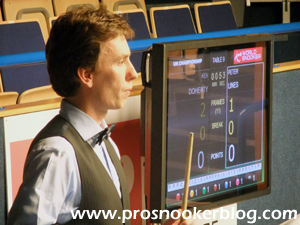 Taking the next two frames to complete the win, he was into his third final against 2000 champion Mark Williams. Despite mounting yet another comeback to peg the Welshman back to 16-16 from being 11-5 down at one point, a second world title was not to be as Williams took the final two frames to win. Ken was later to admit that the disappointment of this defeat stayed with him for the next 18 months. He began to slip down the rankings and at one point appeared in danger of losing his top 16 place before halting his slide with victory in the 2006 Malta Cup. His success in the final, once again against John Higgins came courtesy of yet another comeback, winning 9-8 from 8-5 down. He took this form into the 2006 World Championships where he started in excellent form, but failed to deliver in his quarter-final tie with Marco Fu, eventually losing 13-10. Since then Ken has struggled to find his best form and following defeat to Liang Wenbo in the 2008 World Championship, lost his place in the elite top 16. Things went from bad to worse in 2008/9, a season in which Ken managed to win just two matches and failed to qualify for the Crucible for the first time since 1993. He also dropped out of the world’s top 32 as his slide gathered pace. 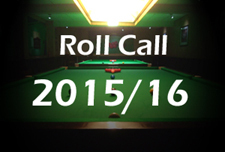 In the build up to a crucial 2009/10 season, Ken began working with then 110sport director of coaching Terry Griffiths in an attempt to rediscover his form, as well as taking the decision to shorten his cue in order to give himself a bigger tip. The early signs were good as he defeated Jimmy Michie, Joe Swail and Andrew Norman to reach the semi-finals of the first Pro Challenge event, before he won the second with a 6-2 final victory against Martin Gould. Even more encouragingly, Ken defeated Rod Lawler and Fergal O’Brien to win his first ranking event matches at Prestatyn and qualify for the venue stages of the Shanghai Masters in the process. Further wins over Neil Robertson and Barry Hawkins saw him advance to his first quarter-final since the 2007 China Open before his run was ended by Shaun Murphy. His confidence levels were clearly on the rise however and he came through against Paul Davies and Dave Harold to qualify for the Grand Prix where he recorded a shock 5-3 victory against world number seven Mark Selby. While he could do little to stop eventual champion Neil Robertson in the next round and saw his run at Prestatyn ended by Jamie Cope in round four of the UK Championship qualifiers, Ken has had a lot more to smile about than during the dark days of 2008/9 and despite a defeat to Mark Selby at the season-ending World Championship, finished the season back inside the top 32. 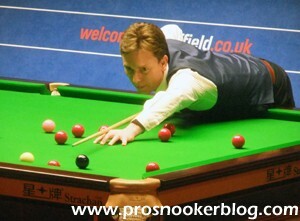 Ken experienced a solid if not spectacular start to the 2010/11 season as he qualified for both the Shanghai Masters and World Open tournaments but failed to make much of an impression during the Players Tour Championship. 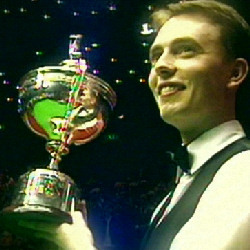 Following the turn of the year however Ken’s fortunes were to dip as he lost his qualifying match in three of the final four tournaments of the season including a shock 10-6 defeat to Jimmy Robertson during the final qualifying round of the World Championship having led 6-3 after the first session. Ken was able to qualify for the last 32 of the China Open following a 5-0 victory over Issara Kachaiwong in Sheffield but was then to produce one of his worst TV performances in a 5-1 defeat to Chinese youngster Li Hang during the wildcard round. Coming into 2011/12 with points to defend from two seasons previously, Ken needed a strong start at the season-opening Australian Goldfields Open and began well by qualifying for the venue stage with a 5-2 win against Scotland’s Scott MacKenzie. Once in Australia however he was to embark upon his most successful run in over five years, first defeating another Scot, Stephen Maguire 5-2 in the first round before recovering from 4-1 down against Liang Wenbo to defeat the Chinese number two 5-4. In the quarter-final stage he caused the biggest upset of his run as he defeated world number three Mark Selby 5-3 to reach his first semi-final since the 2006 China Open, notably winning the final frame with what he subsequently described as the best clearance of his professional career. Although his run was to come to an end in the last four against world number one Mark Williams, it was a good week for the Irishman who had given his chances of retaining a place inside the top 32 a significant boost. 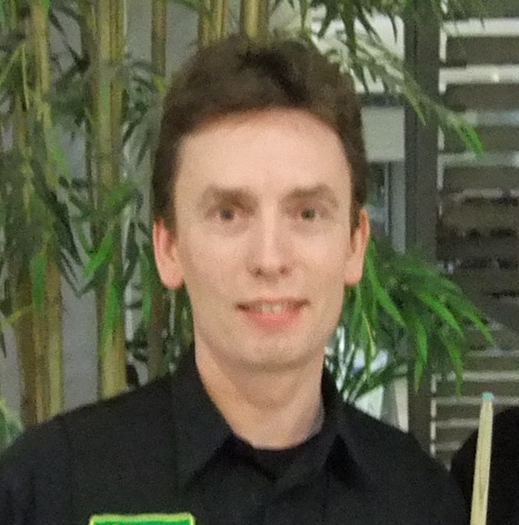 Following this tournament Ken’s fortunes were to be mixed as he reached the last 16 of three PTC events, while also coming back from 4-0 down against Sam Craigie during the German Masters qualifiers to win 5-4 and qualify for the venue stages in Berlin. Disappointment was to come at the UK Championship qualifiers though as he lost out 6-5 to Peter Lines, despite having led 4-1 and 5-3 earlier in the match. 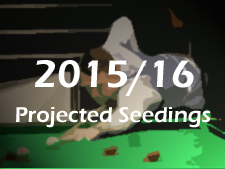 As a result Ken was to fall out of the world’s top 32 at the second mid-season seedings revision, Rory McLeod taking his place. In 2012, wins against Rod Lawler and Jamie Cope saw the Irishman qualify for the final stages Welsh Open, but there his campaign was to be halted by Northern Ireland’s Mark Allen, a 4-0 winner in Newport. While he also lost heavily against Mark Williams in Berlin, Ken had done enough to regain a place in the top 32 ahead of the World Championship qualifiers and there he was to be involved in a late night thriller with Nottingham’s Anthony Hamilton at the EISS. Indeed despite making three century breaks earlier in the match, it looked as though for a second successive year he would fail to make it back to the Crucible, having led 6-3 after the first session. There was however to be a final twist as Hamilton when attempting to roll up behind the brown, left the cue ball short cueing from the baulk cushion and agonisingly left it short. His attempted escape would prove to be his final shot as Ken then produced a great clearance of 62 to the pink, to seal a 10-9 win and qualify for the World Championship again. Unfortunately for Ken, his season was to end early at the Crucible as he lost out 10-4 to Australia’s Neil Robertson at the last 32 stage, also confirming that he would end the season ranked back outside of the top 32. Ken made a strong start to the 2012/13 season, qualifying for both the Wuxi Classic and Australian Goldfields Open tournaments, reaching the last 16 of the former before losing out to eventual runner-up Stuart Bingham. Successful qualification for the International Championship would follow, while he also made that elusive first tournament 147 break after so many years during his opening match against Julian Treiber at the ET1 event in Germany. 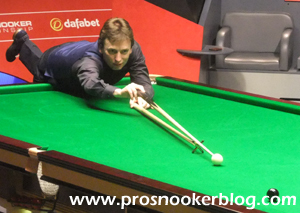 There was to be disappointment as he failed to make it to the venue stages of the UK Championship following defeat to Michael White, however he finished the year on a strong note with a semi-final run at the ET5 event in Ravenscraig. Ken’s best run during the second half of the season was to come at the Welsh Open in Newport, where having qualified for the event with victory against David Gilbert, he was able to defeat John Higgins and Tom Ford to reach the quarter-finals. There however, Ken would lose 5-3 to eventual finalist Stuart Bingham and would not win another match during the remainder of the season, despite a brave effort to come back from 9-4 down against Matt Selt to force a decider at the World Championship qualifiers in Sheffield. 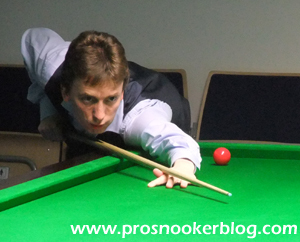 The 2013/14 season was to prove a struggle for Ken, as while he qualified for more venues than he missed, only once prior to the World Championship was he able to progress further than the last 64 stage of an event, at the Haikou World Open. He was however able to end the year on a higher note, recovering from 4-2 down against Thailand’s Dechawat Poomjaeng to make it back to the Crucible for a 19th time. Once there he was to play Stuart Bingham in the first round, again falling behind early on, before bouncing back against an increasingly erratic Bingham to win his first match at the Crucible since 2006. He could not repeat those heroics at the last 16 stage however, as he lost out 13-8 to fellow veteran Alan McManus to bring his World Championship and season to an end. Again, the 2014/15 season was to be a difficult one for Ken as he failed to progress beyond the last 32 of any event with the exception of the World Seniors Championship. His best performances included runs to the last 32 of the Shanghai Masters and UK Championship events, but he was unable to make it back to the Crucible for a second successive season, losing 10-3 to Mark Davis in the final qualifying round. 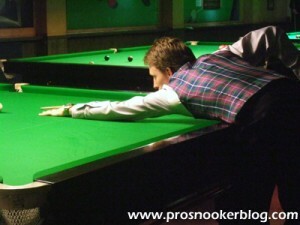 He finished the season down 12 places in 45th place in the rankings.